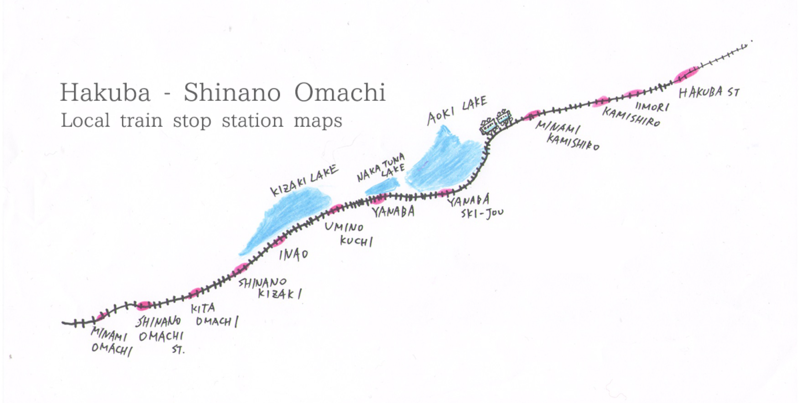 How to get to Shinano Omachi ST from Hakuba ST by Train. Dep. Hakuba ST Arr.Shinano Omachi ST : Sat. Limited express trains stop only at major stations. A limited express fee would be charged in addition to the base fare. "You need a limited express ticket to take this train. These tickets are only valid for a local train. The ticket costs ¥750 per person "
"You need a limited express ticket to take this train. These tickets are only valid for a local train. The ticket costs ¥520 per person "
This page information from JR Official website on 4th Dec.2017. We updated this page on 10th Jan. 2018.